Food markets in The Netherlands. You have probably visited a food market before. They are everywhere to find! However, there are also outstanding indoor food markets in impressive buildings, and there are only a couple of these. 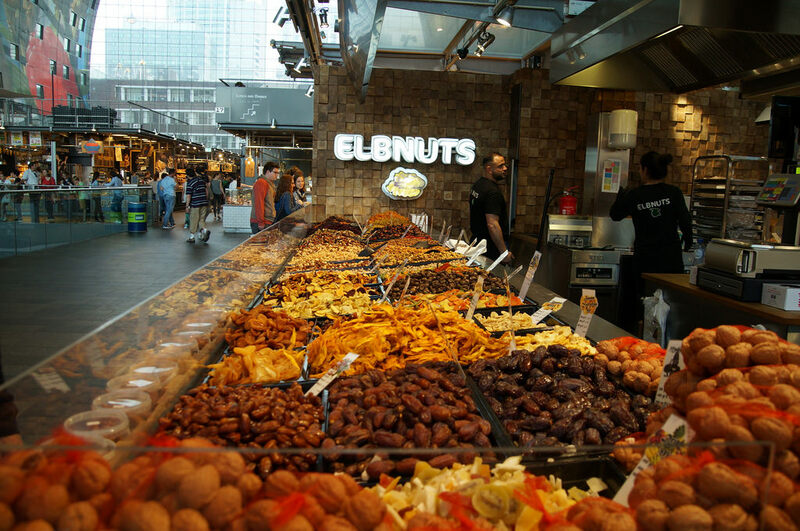 For instance in Barcelona you can find a great indoor foodmarket alongside La Rambla. It is a true experience of tasting local food in an authentic environment. 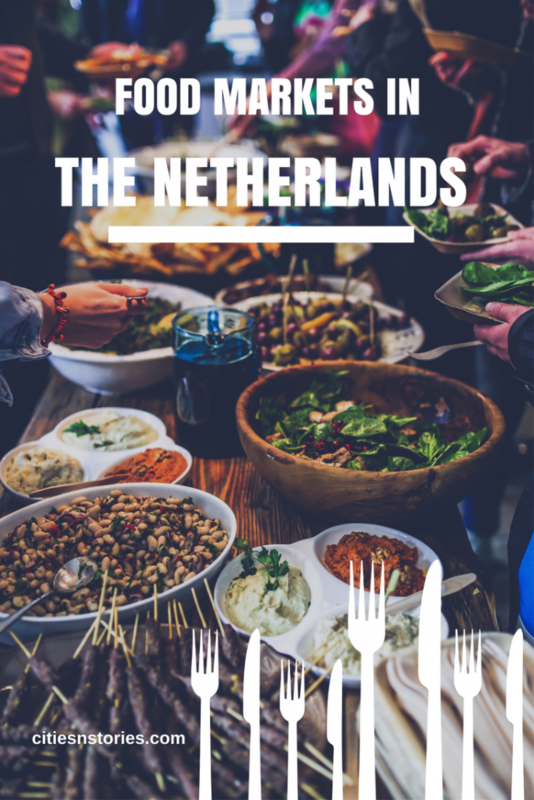 Also in the Netherlands you can find various food markets. In this blog I highlight two indoor food markets which have taken the experience to a next level! I remember very well the first time I saw the design plans for Markthal back in 2009, since while seeing these pictures I actually didn’t believe that building was going to be built for real! It looked so massive and with an enormous artwork painted on the ceiling it looked so surreal! However, the Markhal was built, and opened its doors in October 2014. Ever since I have visited it numerous times. Not only I am enthusiast about the diverse food you can buy and taste in the Markthal, also I am very impressed about the artwork and the architecture of the building itself. The pictures in this blog just give a little impression, you have to visit it to experience it yourself! 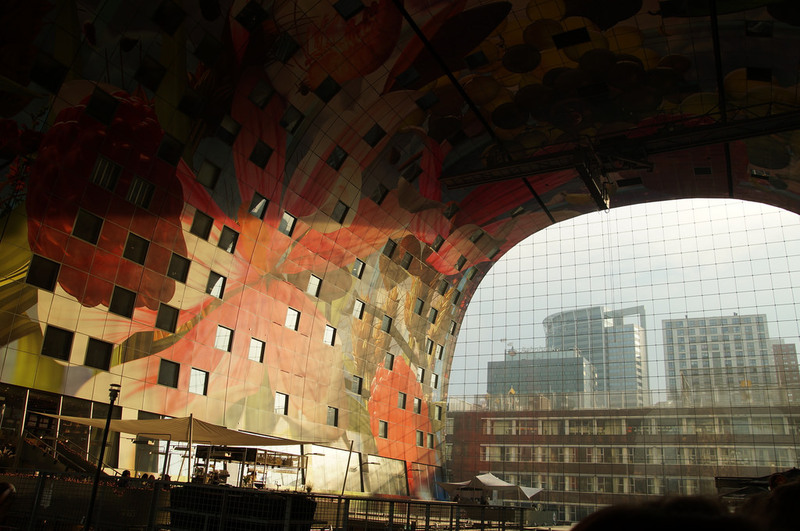 The architect MVRDV also has a enthusiast decription of the Markthal on their website. 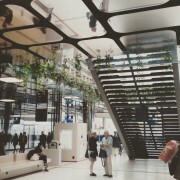 The artwork on the ceiling is created by Arno Coenen. It is the biggest artwork in the world! 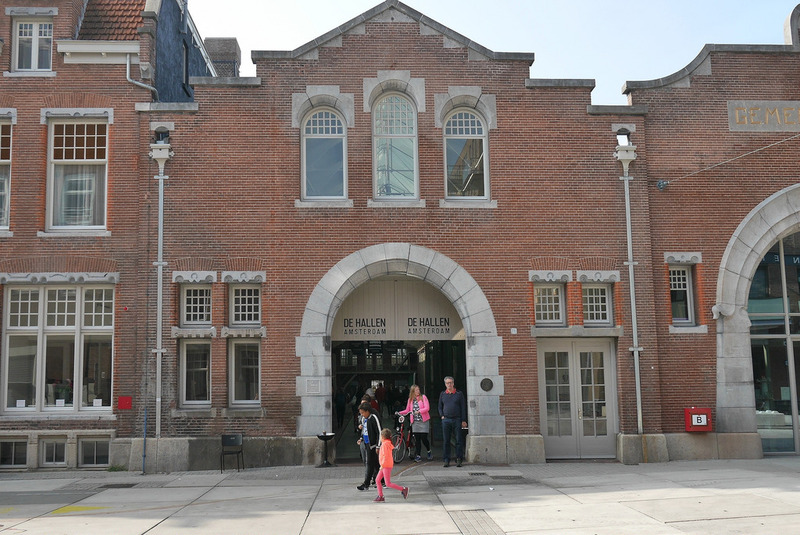 In the west of Amsterdam a former tram depot is renovated, in a very nice way! The total set of buildings is called ‘De Hallen’. There you will find a library, art galleries, a restaurant, shops, and: an indoor food market! However, the Food Hallen is less a market, but much more it is a large place of different small restaurants where you can order a fresh dish of food. The concept is fun though and there is much choice of food varieing from meat till fish, sweet pies and salty snacks. During your stay in Amsterdam the Hallen is a diverse experience from all other things you can do in this city! 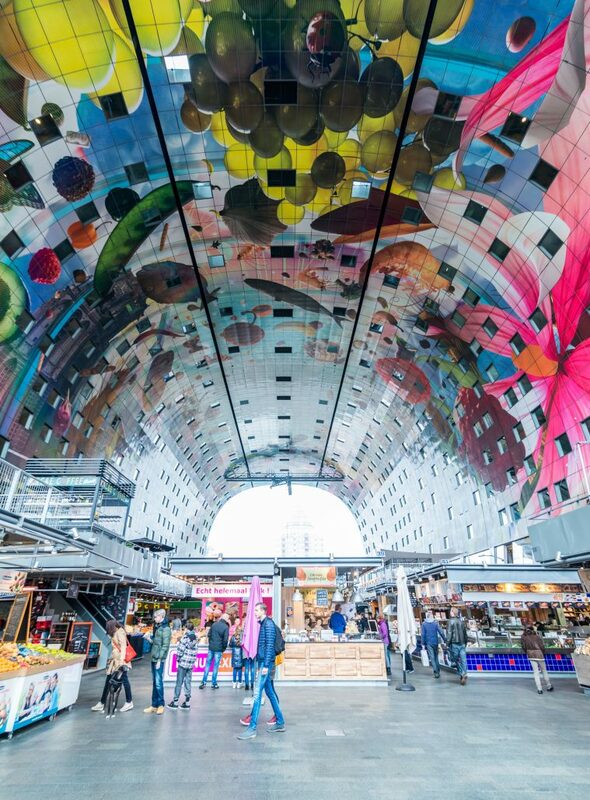 The Markthal in Rotterdam is easy to reach by train, tram and metro. From the city center take a public line to the stop Blaak. Once you walk out of the exit you will already see the Markthal. Flights with British Airways, Vueling, Transavia and more also fly to Rotterdam Airport. From Amsterdam, Rotterdam is 1 hour by train. 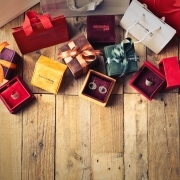 For more information such as opening hours you can visit the website of Markthal via this link. 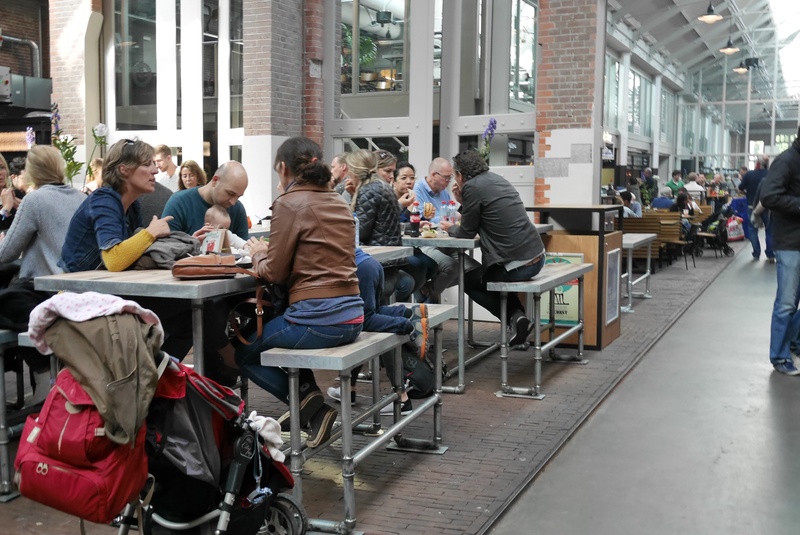 The Food Hallen in Amsterdam are also easy to reach. It is located at street Bellamyplein 51. From the Amsterdam central station take tram 17, stop Bilderijkstraat, or stop Ten Katestraat. The website of the Hallen you can find here. Also fun, you could rent a bike to cycle from Amsterdam city center to the Hallen. 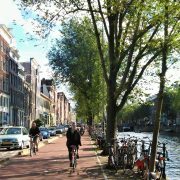 On the website of Iamsterdam.com you can find tips and a list of recommended bike rentals. Consider as well buying an I amsterdam City Card for your stay in Amsterdam. 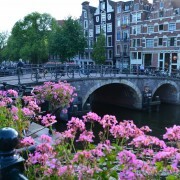 The I amsterdam City Card is your ticket to a more affordable, action-packed trip to Amsterdam. It provides free entry to the city’s top attractions, unlimited travel on public transport, a free canal cruise and significant discounts and giveaways. https://citiesnstories.com/wp-content/uploads/2016/07/26237636001_130ec03fe6_o.jpg 2500 1842 janine reso http://citiesnstories.com/wp-content/uploads/2014/12/cities-n-stories.png janine reso2016-07-28 17:00:462019-03-06 22:38:10Food markets in The Netherlands. 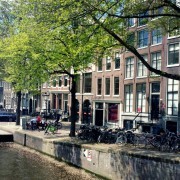 My Jordaan Amsterdam special: fun facts and travel tips.